This is my secret home natural remedy how to get clear acne free skin fast! This is a natural face mask you can make at home for treating acne. If you use this acne mask regularly, you will always have clear acne free skin! You only need 3 simple ingredients and most importantly it actually works. You can find these anti acne skin care ingredients in your grocery store. Your skin will glow and your acne will clear up fast. I’ve been using this acne mask for the past five years to naturally clear my acne and prevent new acne from forming. If you have a special event coming up, you’ll want to use this acne free face mask at least four times a week to get clear acne free skin fast. Here’s my recipe how to get clear acne free skin fast. When I have an important event and I need clear acne free skin, I make sure I have the tree ingredients in my kitchen. I admit sometimes it’s hard to find the time to do face masks. I try my best to do this acne face mask before bedtime. 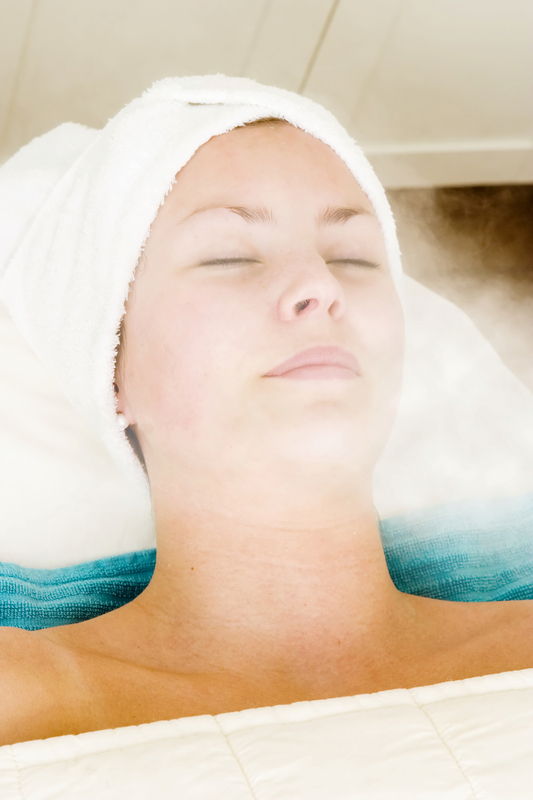 I usually do this facial after a shower before bed because your skin is softened and your pores are open. When your skin is acne free, you don’t have to worry about covering your acne. You can go without makeup and that’s the best feeling! Having gorgeous skin! Mix it into a nice paste. Not too runny and not too stiff. Mix these three anti acne ingredients in an airtight container such as Tupperware or ziplock storage containers. You can save any leftovers or make enough to last four days (recommended) Just use ratios. Keep refrigerated. Only keep in refrigerator for a maximum of four days. You don’t want this to go bad. Apply this anti-acne face mask to your face and lay down and relax if you can. 😉 Usually, I apply a light coat to keep it comfortably on my face. If you apply too much it will be runny. LOL I always picture the scene from the movie Mrs. Doubtfire when her white whipped cream face mask falls into another woman’s cup of tea. LOL. I’m always doing housework wearing my face masks around the house. It’s like killing two birds with one stone. The most important ingredient is turmeric, please read the benefits of Turmeric spice. The first anti acne ingredient is Turmeric spice. You can find Tumeric in the spice aisle! It’s a beautiful deep-orange-yellow spice that’s part of the ginger family. It is a native to southwest India. The roots are harvested, boiled, and dried in hot ovens. Finally, they’re ground into the beautiful deep-orange-yellow spice. It’s tasty, but I like to save it for treating my acne! Turmeric has many skin care benefits, especially for treating acne. This Tumeric face mask ingredient has antimicrobial properties to help destroy acne causing bacteria. It’s also an anti inflammatory spice and it can sooth your acne too! The tumeric will also beautify the skin, repairing damaged skin, helping correct wrinkles, and scars. Yogurt helps this face mask stick together and it’s also beneficial for treating acne. You skin will feel pampered, silky, and refreshed with this added Acne Free Skin ingredient. Thank you so so much for reading How to Get Clear Acne Free Skin. If you have any questions about this facial, please feel free to ask in the comments section below. That’s great! Good info. Sometimes fish oil pills are too heavy for some people. Perhaps you were getting enough omega 3s in your diet and you over loaded when you took the supplement. Flax seed oil is great! This articles are a blessing to find because im depressed by my constant acne i have tried everything even aloe n tea tree oil nothing works i just bumped into this while doing my olive oil treatment on my bleached hair! 🙂 but going back to this do they sell the turmeric in powder? Or doesnt matters how i buy it as long as is turmeric? Any plain yogurt would do? And how long do i leave it on?? Hi Brayan, Results were fast, I felt like I had new skin after two weeks. I did have a lot of moderate acne. How many times a week should this mask be used for optimum results? I think it’s best to use this facial four times a week for best results! That reminds me, I need to do this facial now! How long do I put this mask on my face? I like to leave it on for about fifteen minutes. Before it starts to dry too much and difficult to wash. If your skin gets irritated, it’s best to wash it off sooner. Hi Jen ! I’ve been reading this blog and got so excited to try out these acne- and wrinklemasks! (And found new tip for hairgrowing too!) Thanks for the “whipped cream”-part, lol I burst out laughing bad! Keep up the great work You’ve done already ! Thank you for reading my beauty blog dear! I appreciate your feedback. I hope you have fun trying these face masks. I have fun having a “beauty night” sometimes it’s a loooong night. lol. After I wash off the mask, my face turned yellow. No matter how many times I rinsed it off. I only leave it on for 10-15mins. Is that normal? How to remove the yellow color? It’s normal for that to happen. Try mixing a little baking soda and water to gently rub away the extra pigment left by the spice. you’re wonderful. Thanks so much for sharing. You can try a cleanser, also using witch hazel will help fast. Hi. good morning. I am 21 years old and I am a Filipina.Working now 6 days in a week and usually exposed to radiation and blue lights-nature of my job with a cold temperature inside due to aircon. Sometimes im on field outdoors. I happened to read one of your articles as to having an acne free face and i will follow it, im not really prone to acne and pimplle before but things changed when i got to use some harsh beauty products, then and there it started my dilemma. Actually, this year i have decided to try natural remedies for my body and face. Im so depressed and tired of a lot of products claiming for better results but in reality it does bad to my skin. There was even a time that due to my frustration, I dont want to use any products, just water 🙁 Jen. I hope you can help me for my face,thought its not that very damaged, i just have some pimple breakouts and its dark spots . As to my body, its not that even, especially on my elbows,armpit, knees and intimate area. I am not dreaming of having a porcelain skin, all i just want is to have a routine for me to have a healthy, glowing, even and of course, not so expensive.For my hair I dont want to be rebonded again, huhuhu, if only i have natural remedies, I will go into it. I will really stick to your advise, the products ,the cosmetics that is suited for oily skin I have. Please. Im counting on you, im really frustrated, I will really buy and try to save if what you will recommend is expensive (sigh). My mother too is experiencing a melasma i think ofher face due to usage of harsh beauty products, she is 42, that is why , more i want to ask advise from you so we can got a remedy for our dilemma. Hoping for your favorable response to this matter. Thank you very much,you are an angel God sent to us.A beauty warrior, inside and outside.